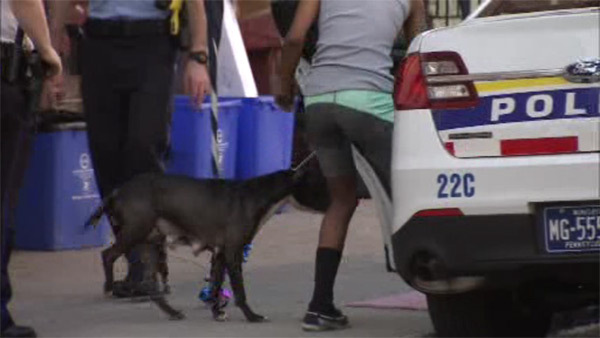 STRAWBERRY MANSION (WPVI) -- Police removed three dogs from a home in Philadelphia's Strawberry Mansion section. It happened around 6 p.m. Wednesday along the 2300 block North 25th Street. The Action Cam was there as the dogs were placed in a police cruiser. One resident indicated that one of the dogs had terrorized the neighborhood in the past. However, it's not clear on why the police rounded up the animals today.